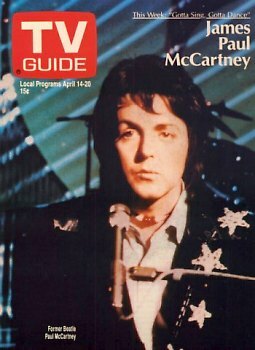 Today’s Monday Music Matinee #14 is a Paul McCartney TV special from Forty Years Ago (1973). As captured in Wikipedia the show was broken up into 11 parts…. The program opens with a live performance by Wings in front of an audience of television screens. An acoustic medley of songs is performed by McCartney during a photographic session with his wife Linda as the photographer. 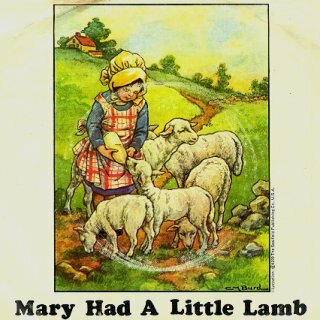 A short music video style performance set in an outdoor location of McCartney’s version of “Mary Had a Little Lamb”. Another music video segment, this time for “Uncle Albert/Admiral Halsey”, however the “Admiral Halsey” section was not included in the final broadcast version. A Busby Berkeley style musical number, featuring dancers dressed in half-man/half-woman costumes. A music video segment were Paul introduces “Live And Let Die”, the title theme from the 1973 James Bond movie. Beatles Medley: a filmed segment with street passers-by singing various Beatles songs (off key) to comedic effect. Another live studio performance with Wings. You got a small introduction to the Ram album yesterday with our discussion of Too Many People as it related to the on-going feud between Paul McCartney and John Lennon. Today, we feature Ram as our album of the week. I mentioned yesterday that Too Many People was my second favorite song from the album…let’s listen to my favorite. 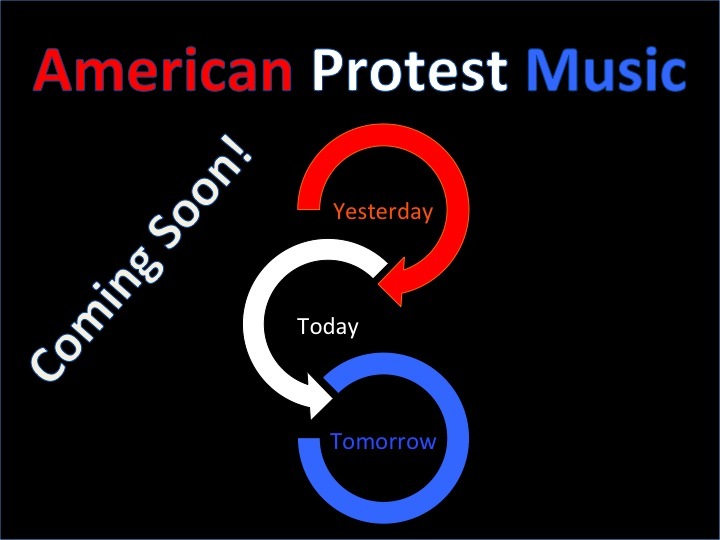 OK….I know this is a silly little ditty but what can I say. I liked it in 1971 and I still like it today, no apologies on my part. In general, Ram was not initially very well received by the critics (or by the other Beatles who all seemed to chime in with disparaging remarks) but opinions seem to have changed over time. As noted on Paul’s website: “Despite an initially lukewarm Rolling Stone review, it was later hailed by them as one of his best solo albums. As I have said many times in the past, who really cares what the critics think…all that really matters is whether you like it or not. So…here is the entire album. Take a listen and let me know what you think. By the way, if you are lucky enough to have some spare change laying around you might want to checkout a deluxe book edition of Ram that was released this month with 4 CDs, a DVD, and a book. In the US it goes for around $90 (US) so I don’t think I will be getting it. If any of you buy it, let the rest of us know what you think. Paul and Linda McCartney released Ram in 1971 during the height of the litigations that were on-going as a result of the Beatles break up. The meaning of the first line clearly refers to the breakup of the Beatles, while the second line refers to what Paul perceived as John’s overly preachy activism (think of John and Yoko’s Bed In for Peace). It’s my second favorite song from Ram so let’s take a listen. In New York John was recording his Imagine album and the lyrics to Too Many People did not go unnoticed. When Imagine was released it featured responses in two forms. 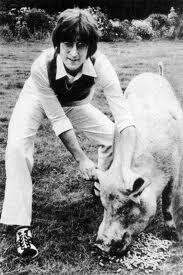 First, a post card was included in the album with a picture of John holding onto a pig by it’s ears which was clearly mocking the cover of Ram which featured Paul holding onto the horns of a Ram. The second response was in the form of the scathing lyrics to How Do You Sleep which were clearly aimed at Paul. Even after forty years I am still shocked by the bitterness of these lyrics and the personal nature of the attack on Paul. Let’s listen to the song. If there was any doubt that the Beatles were really over, this song pretty much sealed the deal. Just thinking about it today makes me sad all over again. 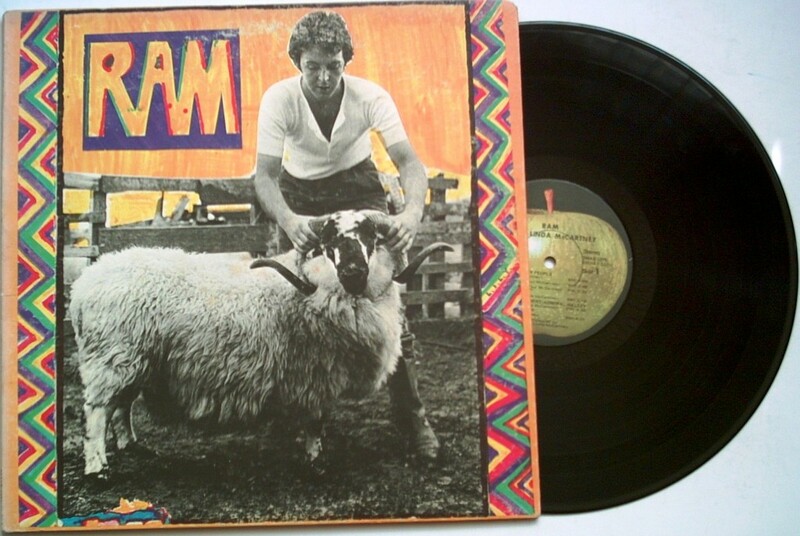 Stay tuned tomorrow…we will further explore Ram as our Album of the week. With no disrespect to Paul McCartney, I love the Faces 1972 cover of his first solo record. The cover serves to reminds us of: what a powerhouse the Faces were as a band; what a great musician/singer Ronnie Lane was; and what a tragedy it is that we lost him way too early to MS. Of course Rod’s performance is great as usual. Speaking of losing Ronnie to MS, you might not be aware that Rod, Ronnie Word, and Jimmy Page paid his medical bills for years. Rod and Ronnie Wood also donated all of their Faces royalties to Ronnie once he got sick. Musician’s take care of their own and we all have to respect that. As always let me know that you think.